Cystic intraventricular schwannoma: a case report. Department of Radiology, Baylor University Medical Center, Dallas, TX 75246. 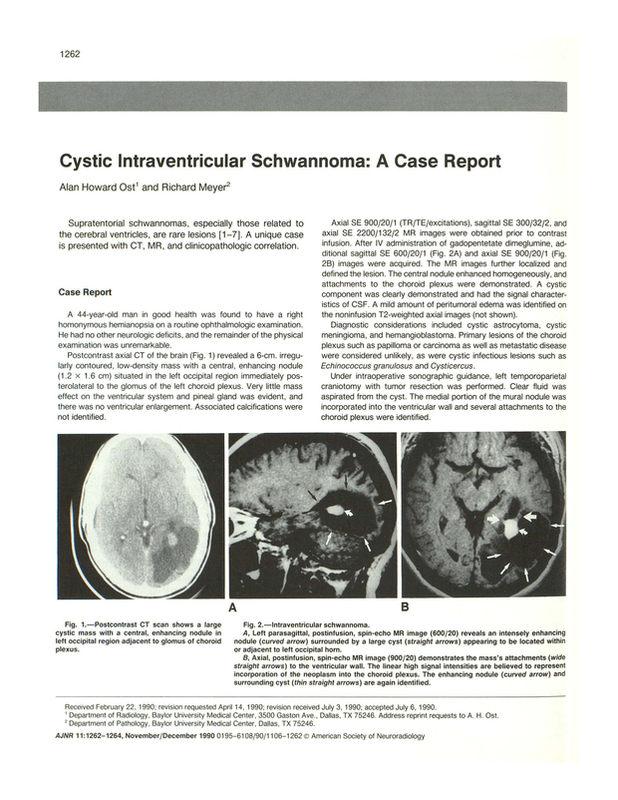 You are going to email the following Cystic intraventricular schwannoma: a case report.